← Curious about Clifton Village? “What is mens’ fashion?” One might ask these days. The ever encroaching winter weather has men coolly delving into their pockets and spending on high price items for their wardrobe. The questions is, why do they do this? Why do men feel the need to splurge and what is it that is driving them to do so? Well, apart from making sure that their wardrobe has enough fire-power to keep them warm and dry for the harsh British weather conditions that are expected, there are some underlying points that are due some attention. The main one being that menswear is becoming even more of a dominant force in the world of fashion if it cannot be called so already. It possesses a hunger that we have never seen before. The demand for fashionable mens’ clothing is through the roof, with premium designer labels leading the way for mid-level and high street brands to follow suit (no pun intended). Never before have the likes of the lower-end been mentioned when it comes to fashion with a nod of positive recognition towards what they are doing. Sure, they are still doing what they are negatively known for, but they are investing time in creating what men want in terms of the style and cut of their clothing. We are seeing old brands reaffirm themselves in the world of fashion such as Marks and Spencer and Debenhams. We are experiencing a menswear revolution. Yet why are these brands so aware of this revival in dressing for gentlemen? For this, we must go back to basics. The word ‘fashion’ consists of two parts; something that is ‘popular’ or ‘the latest style’ of clothing, and a ‘manner of doing something’. You can wear fashionable clothes in a particular fashion. This is the basis from which menswear is building on. Ticking both of these boxes is what makes fashion most important, and being able to tick these boxes is what brands are offering for men to now do. While in contrast, womenswear has become so popular and repetitive that the ‘manner of doing something’, or in this case, ‘wearing something’, has been lost as trends are repeated in a cycle and originality is less easy to come by. Menswear, on the other hand, is able to fill this gap in the market, where new ideas and combinations can be tested, and different channels can be explored. It is because of this that men are starting to jump on board. Gone are the days when the aspiring gentleman will throw on an outfit to personal taste or without guidance or advice. Now, there are blogs and forums where men can find out about how to dress for particular occasions and what to wear to suit their lifestyle, body shape, budget… etc. The list goes on. It is this wealth of information and interest in the subject of mens’ clothing that is driving the market. Yet, the journey that men take to get to a point where they are comfortable with what they wear on a daily basis, and are able to experiment and embrace new trends successfully, can be a long one in the making. Firstly, they must build their capsule wardrobe, usually through buying basics and staples which they know they can confidently put together and will look good in a variety of situations. Then, they start to play around with different colours, and add a few accessories to show individuality and character. Finally, once they have cemented their ability in knowing what to wear and how to wear it, they can start buying items that are trend-led and unique to incorporate them into their look. This process, however, can take a great deal of time. There are those who take very easily to it, and they will race ahead of others in learning how to dress well. Yet, it is a personal thing, and while people may get the basics right, it’s the attitude they bring to the clothes that they are wearing, and the touches of character in how they wear them, which is what the menswear market is exposing and growing from. Now, that men are taking more of an interest in fashion, they are starting to realise that they need to think differently and act differently in order to look different. Fashion is all about following and breaking the rules at the same time. It’s all about the expression of character and personality, and it is in menswear that new things can be done to embrace such ideas. There are now new materials, new cuts, new shapes, and new colours in everything from clothing, to shoes, to accessories. We are seeing the refinement in quality and classic sartorial style in brands combined with twists and innovative ‘takes’ on old classics. Menswear is mixing the old with the new. It is taking its experience as the younger sibling to womenswear, quietly growing up and maturing in its own time, yet now it is ready to become a man. 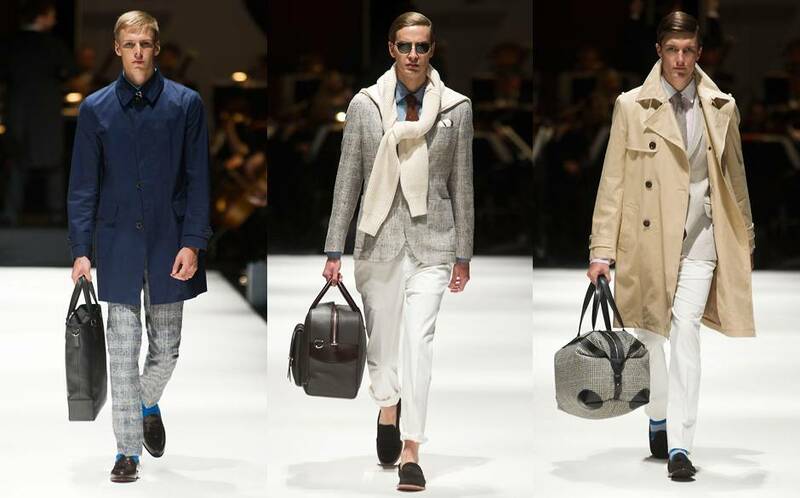 Now is the time for it to take its own path and show the world what menswear is all about. Never before have designers been so imaginative and never before have we been willing to listen to their ideas and try them for ourselves. So what is mens’ fashion? It is a guide. It has rules that are there to be broken. It is fresh and imaginative with a touch of old school class and maturity. Menswear is the new womenswear and it’s now time for the girls to move over. Menswear is now in the spotlight. © Sam Ramsey and Sam Ramsey Writing, 2013. Unauthorised use and/or duplication of this material without express and written permission from this blog’s author and/or owner is strictly prohibited. Excerpts and links may be used, provided that full and clear credit is given to Sam Ramsey and Sam Ramsey Writing with appropriate and specific direction to the original content.